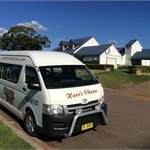 Local pickup area FULL DAY 5 STAR guided wine tasting tour visiting 4/5 boutique cellar doors, private Cheese, Chocolate, Vodka, Gin and schnapps tastings. Special lunch menu options available to pre order around $25-$40 at own expense. 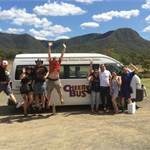 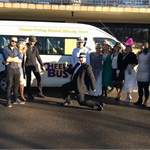 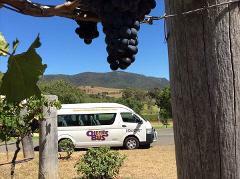 Experience a FULL DAY Monday to Friday local accommodation pick up around 9.30am wine tour cost 13 passenger seat bus $580 and your chosen cellar door tasting fees if any extra at your own expense usually redeemable on wine purchased.